In 1956, based on years of conferences and discussions between teachers and academics on the subject of what schools should teach, Benjamin Bloom published his groundbreaking Taxonomy of Learning Objectives and introduced the concept of higher-order thinking skills into the educational agenda. Instead of the simple and passive recall of facts, students were encouraged to actively analyze, evaluate and apply the information learned. While the particulars of Bloom’s taxonomy have been debated, the adoption of the principles has been near universal. For Jewish educators, however – special challenges emerge: how does one balance between the desire to encourage critical thinking on one hand and maintain a sense of reverence towards sacred texts on the other? An additional factor must also be considered – how to develop innovation and original thinking while maintaining the boundaries of centuries of commentaries and interpretations. Is there room for imagination in interpretation? These questions have been answered in one form or another by various authors and schools of thought during the past several decades. 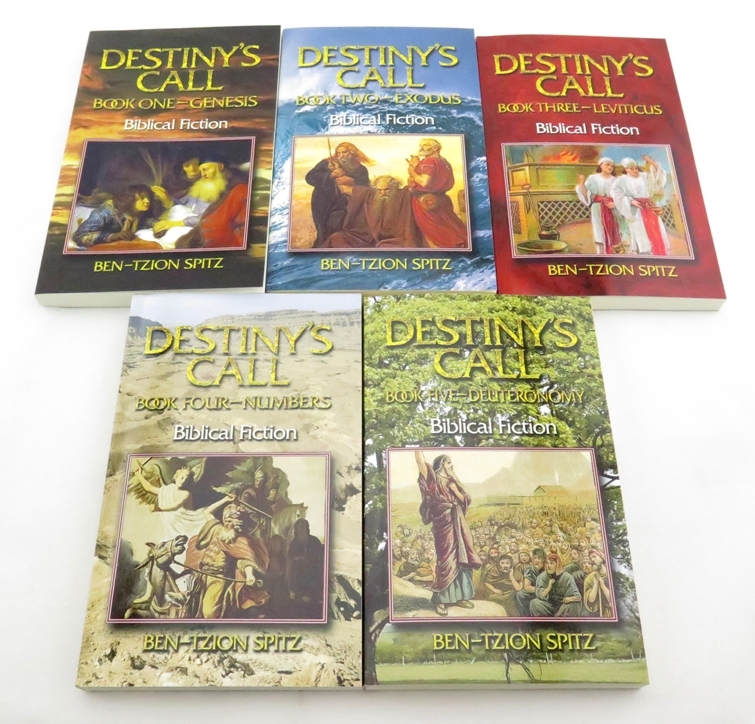 One very interesting response, however, comes from a brand new volume of Biblical fiction titled Destiny’s Call by Rabbi Ben-Tzion Spitz. For several years, Rabbi Spitz has sent out a weekly email to hundreds of subscribers consisting of a short Dvar Torah and a short story on the parasha. From these archives, he has collected thirteen outstanding short gems, each one illustrating and expanding upon a particular story from Genesis, but in creative and often surprising ways. His stories manage to convey a sense of fresh and innovative thinking, while navigating the contours of traditional thought. The book also comes with a plethora of illustrations. There are hand-drawn maps of the Biblical landscape, a useful timeline of when within the biblical narrative his stories take place and genealogical charts showing the relationships of the various protagonists in his collection. In addition, each story is introduced with a reproduction of artwork from some of the great masters who illustrated the same scenes, including the famed Gustave Doré. Spitz has also included a list of discussion questions for each vignette that can be of great value to parents, teachers or book clubs, as well as a short essay outlining the process that led to the book’s creation. The end of each story leads the reader to the sources that were used to compile each story, whether it is the basic Biblical text, or more fascinating, the Midrashim, some of them rarely referenced. In the back of the book is a thorough glossary and index of Biblical references, rare for a work of fiction. The use of Biblical characters in fiction is not new, as anyone who has ever read Thomas Mann (or more recently, Anita Diament) will attest. Indeed, the nature of the Bible as a text begs for this treatment. Unlike other literary works, the Biblical texts do not provide much detail or characterization, and only rarely are readers allowed access into the inner thought process of the personalities that inhabit them. There are, in Erich Auerbach’s formulation, texts “fraught with background”. In Jewish tradition, the Midrash was the first attempt to fill in these holes. Meir Sternberg’s theory of narrative centers around how “the biblical narrator navigates ‘between the truth and the whole truth’ by carefully managing narrative “gaps” or ambiguities by withholding information from the reader.” As such, many writers find it easy and convenient to use the sketchy outlines of the Biblical story as a springboard for their own creativity. Spitz is sensitive to the very human nature of the characters as they steer their way through events that ultimately become larger than life. 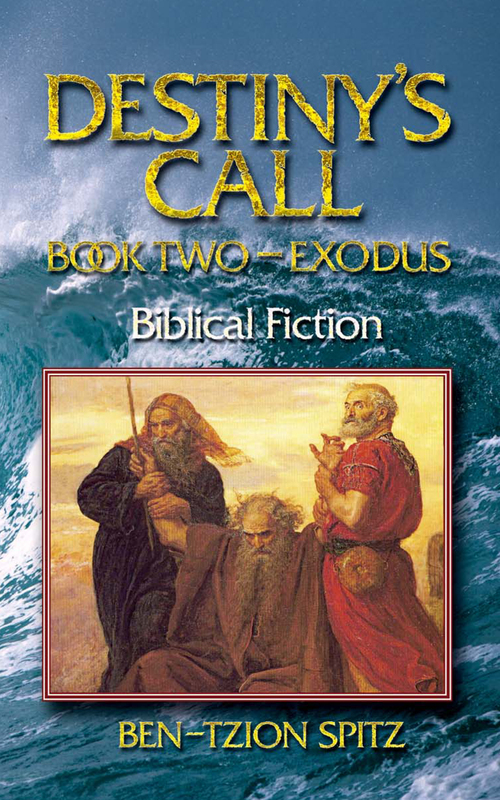 In summary, Destiny’s Call is an engaging read, and is strongly recommended both for the Shabbat table and the classroom. However, this work also accomplishes a much greater and more important task. Rabbi Spitz, through his vibrant stories, reminds us what it means to truly interact with a sacred text, and how reverence and the creative imagination can work together in our religious development while opening up new vistas in our understanding of the Biblical narrative.